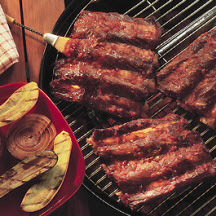 CooksRecipes has quality, kitchen-tested recipes for beef ribs and short ribs that you can count on for successful deliciousness. 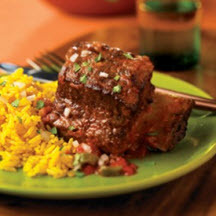 Beef short ribs simmered in a spicy chipotle tomato sauce until the meat's fork tender and practically falling off the bone. One of the easiest and tastiest tropical beef short rib dishes you'll ever make. 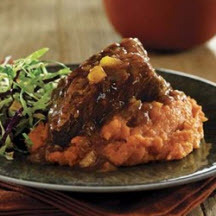 These hot and spicy beef ribs are great served with mashed potatoes and coleslaw.